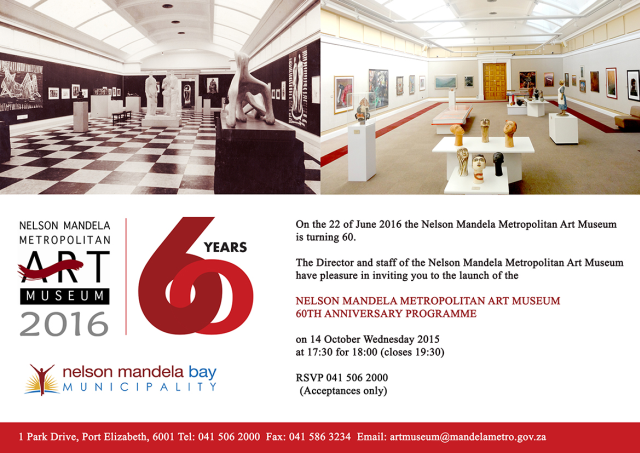 On 22 June 2016 the Nelson Mandela Metropolitan Art Museum will have inspired art lovers for 60 years. To commemorate this momentous milestone the Art Museum is launching a series of exhibitions which will culminate in a final exhibition opening on the Museum’s anniversary. The planned exhibitions will explore the history of the Museum’s extensive collection while paying tribute to the community of Nelson Mandela Bay who have supported us throughout our 60 years. A series of exhibitions will link the Art Museum’s collection to important and influential artists, philanthropists and patrons who helped shape the Nelson Mandela Bay art scene. 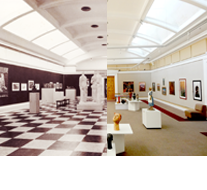 The planned commemorative exhibitions will conclude with a final exhibition of the museum’s collection titled "60 years of collecting” which will open on the Museum’s 60th anniversary on the 22 June 2016. Please join us over the coming months as we celebrate 60 years of inspiration at the Nelson Mandela Metropolitan Art Museum.